COMMENT | In the seventh post GE-14 by-election, the now bustling town of Rantau is capturing national attention. Flags, cars and traffic have turned this sleepy town into a national political barometer. This contest, involving 20,926 voters, will be yet another assessment of Pakatan Harapan’s performance in an important swing state. Negeri Sembilan was an integral part of the coalition’s national victory and one of the states it managed to capture from UMNO. As such, the result will speak of its ability to hold onto the base it secured almost a year ago. The contest is also a gauge of Malaysia’s future national leadership. 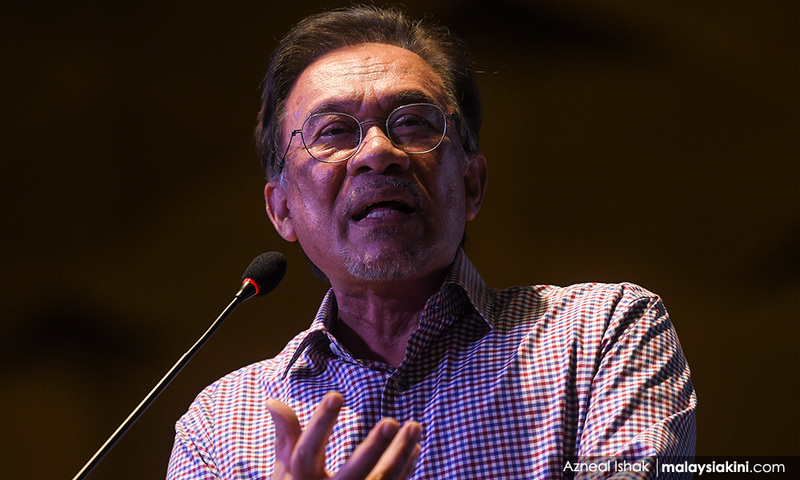 There are two additional tests on the line – the leadership of UMNO – and, to a lesser extent, the ability of Anwar Ibrahim (now based in neighboring Port Dickson) and his party PKR to deliver the votes for the governing coalition. 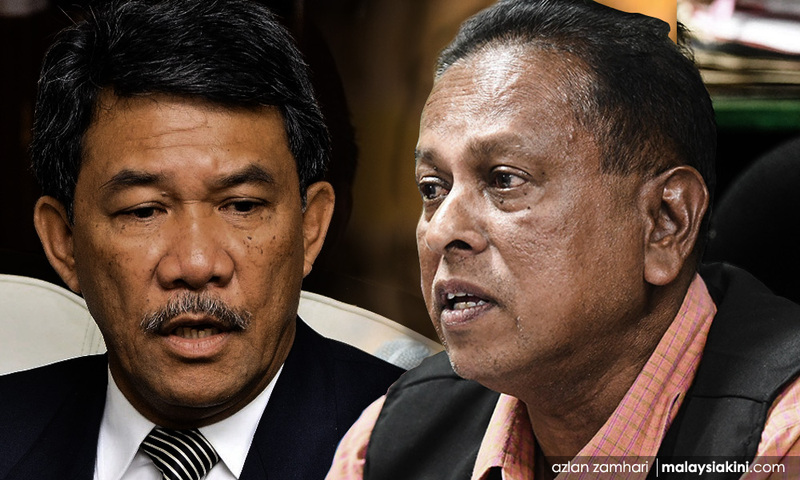 Both UMNO and Pakatan, Mohamad Hasan and Anwar, are seeking redemption in Rantau. The most meaningful impact of Rantau, however, will be whether voters reject the divisive racialized politics post-GE14 narrative in favour of more inclusive governance and return the country toward a path of greater multi-ethnic harmony. Earlier results of GE-14 and GE-13 (analyzed at the polling station levels) offer important insights into the contest. The first factor that stands out is the pull of Mohamad Hasan. While he is now under fire for his alleged multi-million ringgit mansion, he has been a popular figure in Rantau, seen as affable and accessible, with political clout as a local warlord and former Chief Minister for three terms. We see, for example, a pattern of split voting in Rantau in GE13, in which Mohamad, contesting for the state seat, captured a larger share of the vote than Umno did for parliament, 64.7 percent versus 58.7 percent respectively (or an advantage of 6 percent). The fact that Mohamad is now acting president of UMNO assures that this contest is about his leadership of the party. Mohamad was part of the faction in the party that somewhat distanced itself from Najib Tun Razak in last year’s June party election. Mohamad (along with close ally and fellow Negri Sembilan MP Khairy Jamaluddin) are seen to want to move the party out of Najib’s 1MDB shadow, and to return the party towards a more multi-racial middle ground. This is hard to do given that Mohamad (and Khairy) governed during the Najib era and the intensification of a racialized ‘survivalist’ agenda adopted by the party as a whole since GE14. 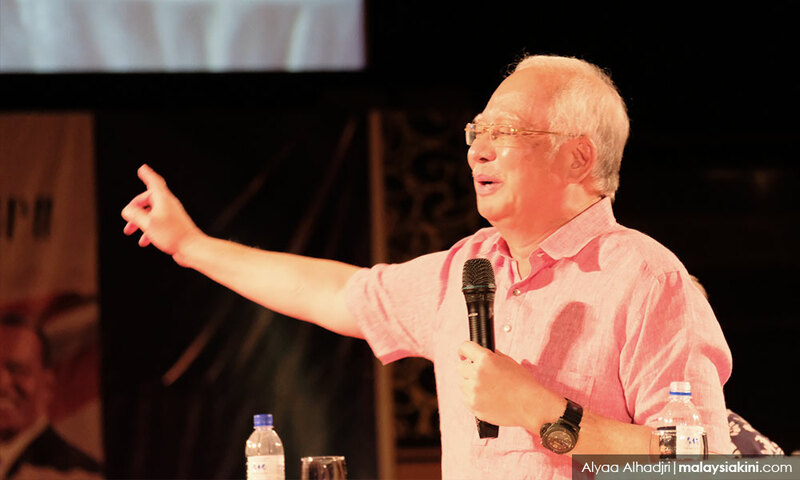 It is being further complicated as Najib (above) is continuing to inject himself into post GE-14 UMNO campaigns, overshadowing Mohamad in his own campaign. Mohamad’s candidacy, however, will shape whether the party continues to have leaders that are comparably more racially moderate and capable administrators. Ultimately it will be the young people who will decide the Rantau outcome. Voters under 40 make up 41.3 percent of the electorate, with 17.7 percent of those under 30. I have argued elsewhere that young voters were a crucial determinant in GE14. This was the case in Negri Sembilan as well. While Rantau was uncontested in 2018, the results from the parliamentary contest show that the BN lost the majority of younger voters. The steepest erosion was among voters under 30, an estimated drop of 18.4 percent. This group will be decisive in the outcome, as Rantau is a highly competitive contest in which either side can win. The pull of young leaders, notably Khairy Jamaluddin, in this area will be important, as will whether Pakatan Harapan can convince younger voters to stay with them. Rantau’s pattern of generation voting shows another important national trend. UMNO lost support among its ‘older’ base as well, an estimated loss of 11 percent. Voters above 60 left the Umno fold, following Mahathir. The Tun M factor was particularly important in what I have called the Umno Belt – Malacca, Negri Sembilan and Pahang. This speaks to the challenge Anwar Ibrahim (below) faces in maintaining the Pakatan Harapan base electorally. Now based in Negri Sembilan in Port Dickson, PKR’s leader has campaigned hard in Rantau, appreciating that the seat is in part about his ability and that of this party to win votes. A difficult challenge Pakatan Harapan faces is resisting making this contest about individuals, and working together for the coalition as a whole. Rantau will showcase the coalition’s ability to work together, especially the cooperation of Pakatan’s leaders Mahathir and Anwar. The fact, however, is that this is a PKR contest. PKR’s appeal nationally is being tested. Ironically, as the narrative of this contest has been focused on national issues, little attention has centred on the state level. This is especially ironic given that Rantau is a state contest, in a state led by PKR. While it has been less than a year, the Negri Sembilan state government led by chief minister Aminuddin Harun has been largely seen to have governed well, with comparatively strong economic performance and increased investment to the state. The Rantau campaign shows how little attention is being placed on policies and performance at the local level. Instead attention has been focused on race and inclusion. PKR’s traditional strength has been its multi-ethnic appeal. Rantau with its mixed ethnic configuration (comprised of 54 percent Malays, 19 percent Chinese, 26 percent Indians and 1 percent others) will showcase its performance to reach across communities. Along ethnic lines, all the communities will matter given the competitiveness of the contest. Previous voting trends, however, show that in Rantau a swing in voting among the Indian community proved decisive in the GE14 parliamentary contest. 2018 witnessed a 23 percent swing among Indians in support in favour of PKR. The decision to field Indian candidate Dr. Streram recognizes this dimension, but it rests on the assumption that Indians will vote for him and, more importantly, voters will cross ethnic lines. Rantau speaks to the difficulty both PKR and Pakatan Harapan as a whole have faced in assuring that non-Malays are represented in the current government, while at the same time assuring Malays that they are an integral part of the government. The focus of Pakatan Harapan has been on trying to address its Malay deficit in support, as opposed to its core non-Malay base, and there has yet to be a broad multi-ethnic inclusive policy agenda. Rantau showcases the need to make sure all Malaysians, irrespective of race, are being represented, and the deep-seated challenges of moving politics away from the deeply-rooted ethnicized lenses and practices. The recent racialized turn of the campaign in provocative posters shows that parties, especially the BN, rely on this form of campaigning. Rantau voters have an opportunity to reject this mode of campaigning. Finally, Rantau as a contest is different from the past two elections in that on the surface PAS is not as important a factor in shaping the outcome. PAS managed to only win an estimated 4.6 percent of the 2018 parliament vote in Rantau, and only 8.1 percent of the Malay vote. PAS captured 15.9 percent of the Malay vote on average in Negri Sembilan as a whole, and in Rantau it was less than average. The Umno-PAS alliance is not as centre stage in Rantau as it has been in the last two by-elections, as this is largely an election about Umno and PKR. This said, the closeness of the race can be influenced by PAS supporters. This means that in many ways Rantau is an important indicator of future trends for Malaysia. It will show whether Umno can redeem itself (at least electorally), whether Anwar and PKR have emerged as the strongest multi-ethnic alternative and ultimately, whether unity rather than division, moderation over polarization will be the path ahead. Dr.BRIDGET WELSH is an associate professor of political science at John Cabot University in Rome. She also continues to be a senior associate research fellow at the National Taiwan University’s Centre for East Asia Democratic Studies and The Habibie Centre, as well as a university fellow of Charles Darwin University. Her latest book is the post-election edition of ‘The end of UMNOmno? Essays on Malaysia’s former dominant party.’ She can be reached at bridgetwelsh1@gmail.com. Posted in Anwar Ibrahim, By Elections, Democracy, Dr. Bridget Welsh, Governance, Malaysiakini, Pakatan Harapan, Parti Pribumi Bersatu Malaysia, PAS, PKR, reform, The Malays, Tun Dr Mahathir Mohamad, UMNO. After recouping the Semenyih state legislative assembly seat, it comes as little surprise that the United Malays National Organisation (UMNO) and the Pan-Malaysian Islamic Party (PAS) are finally formalising their cooperation. The implication of this is that political discourse will only regress further to the right. The hardening of racial and religious divides on the back of perceived Malay-Muslim victimhood is another consequence. Any legislation the Pakatan Harapan (PH) government introduces will be scrutinised through racially-tinted lenses. Policies perceived as affecting the interests of Malay-Muslims can expect stronger challenges from now on. At best this would come at the cost of significantly increased political effort to pass much-needed reforms — at worst, it could see an increase in the wielding of vetoes. In this new political landscape, UMNO are no longer shackled by the Barisan Nasional consociational model of power-sharing and PAS are free to up the stakes rhetorically. This collaboration will demand even more exclusivist policies when it comes to the Malay-Muslim agenda. For UMNO and PAS this formalised collaboration also lends credence to its preferred narrative. They can argue that Malay privilege and the special position of Islam are only upheld through mutual cooperation of the Malay-Muslim political parties on one hand and the broad unwavering support of the Malay-Muslim electorate on the other. By presenting an image of Malay-Muslim interests being under siege by the other parties, UMNO and PAS can expediently position themselves as defenders of everything ‘Malay and Islam’ in an attempt to consolidate votes on racial and religious grounds. Not novel in Malaysian politics, they mirror the same sense of impending victimhood as the Democratic Action Party (DAP), a largely ethnically Chinese political party now part of the PH coalition. The DAP pushed the appointments of non-Malay-Muslims to the key positions of Attorney-General, Chief Justice, Law Minister and Finance Minister. The political calculations for this are obvious. Malay-Muslims constitute the largest voting bloc in Malaysia but no one political party has a significant majority over another. The Malay electorate in the 2018 election were split 25–30 per cent in favour of PH, 35–40 per cent towards UMNO–Barisan and 30–33 per cent to PAS. Also as Article 113(2) of the Constitution states, any re-delineation of constituencies is only permissible after 8 years. The constituencies allegedly delineated along racial lines just before the 2018 election will remain so until the next election. Up for grabs then will be 134 out of the total 222 federal constituencies in Malaysia that have Malay majorities. Coupled with the reality that the non-Malay electorate had almost completely repudiated UMNO and Barisan Nasional (BN) in the previous general election, this cements the case for UMNO to collaborate with PAS and jointly attempt to capture the Malay-Muslim vote. In contrast, PH is constrained by its positioning as a multiracial coalition and by DAP supremo Lim Kit Siang warning that his party will leave the newfound coalition if the ideals of ‘New Malaysia’ are abandoned. The DAP commands 42 out of 125 of PH’s seats in the Dewan Rakyat, making up almost a third of their strength. There is also the risk that even slight flirtation with any Malay-Muslim political exclusivism could come at the expense of PH’s non-Malay vote base. This stood at 95 per cent of Chinese voters and 70–75 per cent of Indian voters in the 2018 election. Temptations to flirt with Malay political exclusivism will only rise further as UMNO and PAS increase the stakes and rhetoric. PH ought to refrain from knee-jerk reactions to appease the Malay electorate that play into the hands of UMNO–PAS. Instead, PH should understand that Cameron Highlands and Semenyih have always been traditional BN strongholds and not read too much into the results. As of now it remains uncertain how successful the UMNO–PAS collaboration will be, and whether it poses a genuine threat to PH. In the meantime, PH should view the current racial and religious groundswell as a manifestation of the Malays’ insecurities, and perhaps, how things have not changed for the better since the 2018 election. The unfortunate fact is that while GDP and foreign direct investment numbers matter to some in urban bubbles, it means little to many at the grassroots if it does not improve more direct ‘bread and butter’ issues such as high living costs, stagnant wages and low employment opportunities. Without meaningfully addressing this, the sense of victimhood felt by the Malay-Muslims will only amplify, making it no wild stretch of imagination for the Malay swing electorate to revert to the familiarity of UMNO and PAS in the next elections. There lies the foundation of any counter-narrative PH can offer to the electorate. This counter-narrative also needs to be coupled with nation-building initiatives to undermine the racial and religious bravado propped up by UMNO and PAS that seeks to appeal to the baser instincts of race and religion. It would be unrealistic to expect PH to turn the tide around overnight. 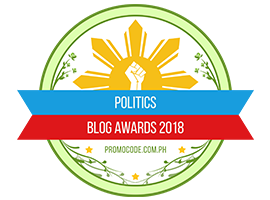 But with the elation of the May 2018 election victory quickly fading, PH would be wise to ignore the cacophony. It should focus on its mandate, remembering that there can be no legitimate government in Malaysia if it merely represents one ethnic group. 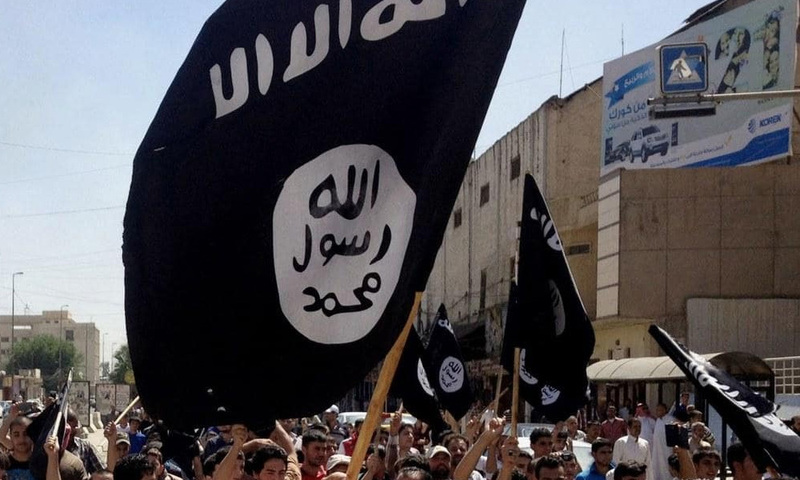 Harris Zainul is a researcher of economics, trade and regional integration at the Institute of Strategic and International Studies (ISIS) Malaysia. Posted in Democracy, Human Rights, Malaysia, Parti Pribumi Bersatu Malaysia, PAS, Politics, Race Relations, Religion, Tun Dr. Mahathir Mohamad, UMNO. 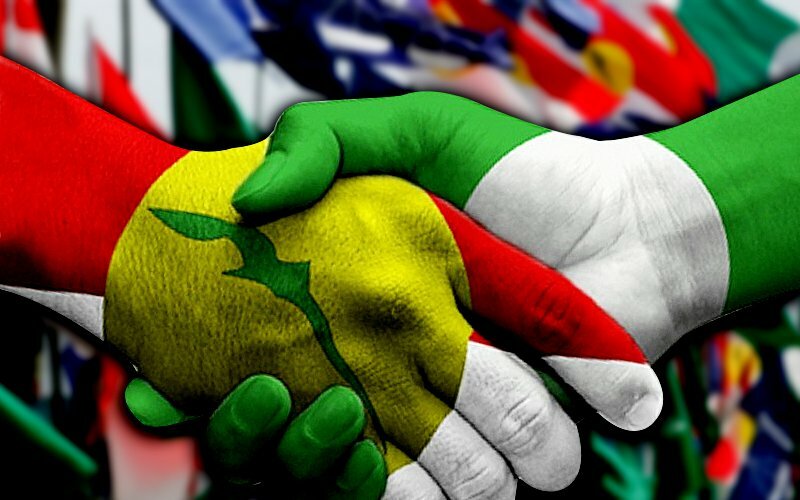 Over the past few weeks, as the competition between Pakatan Harapan and the UMNO-PAS alliance for the Malay vote has heated up, we’ve been given stark reminders of how the UMNO-PAS leadership views non-Malays and what we can expect should the Ketuanan Melayu ideology they espouse dominate Malaysian politics. Their view of non-Malays, put simply, is forever pendatang, forever dhimmi and forever grateful. 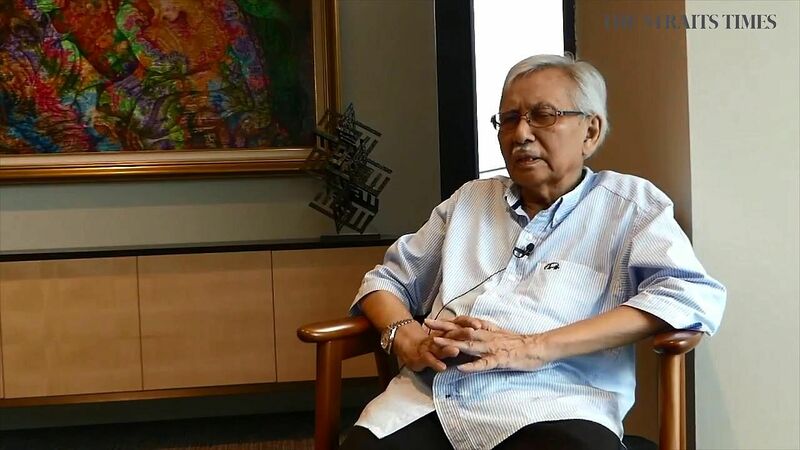 The concept of the non-Malay as pendatang (or “penumpang”, a similar term that acting UMNO president Mohamad Hasan recently used to describe non-Malays), is of course, intrinsic to the Ketuanan Melayu ideology and is central to the thinking of UMNO and PAS leaders. Whether pendatang or penumpang, the idea is the same: non-Malays are interlopers, without commitment or loyalty to the nation and, therefore, undeserving of equal treatment or constitutional protection. It is intended to strip them of their very identity as Malaysians and suggests that they have no inherent right to be here. In their view, non-Malays, no matter how long they have lived here, are pendatangs and penumpangs and will always remain so. Others – Muslims from Indonesia, Bangladesh, Pakistan, the Middle East – can migrate to Malaysia and quickly become proud Malays but Malaysian-born non-Malays are doomed to remain pendatangs and penumpangs in perpetuity unless they convert. This racial division is further reinforced by a religious worldview that segregates Malaysians according to their faith into Muslim and dhimmi. In historical Islam, the ‘dhimmi’ were conquered people who had submitted to Islamic rule. They had few rights, had to pay a special tax and be forever subservient to Muslim authority in exchange for protection. Some Islamic scholars have also argued that dhimmis are automatically excluded from all participation in the political process. No surprise then that men like Hadi Awang are constantly complaining that there are too many non-Muslims in parliament or that key positions like the chief justice and attorney-general are held by non-Muslims. In their twisted theocratic version of Malaysia, non-Malays, as dhimmis, have no business being in parliament or holding important positions. 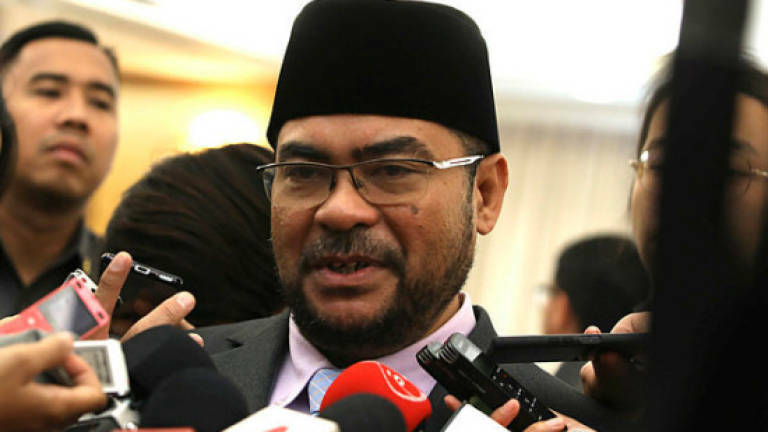 The religious establishment is, of course, largely supportive of this religious division; in recent discussions on the issue, the muftis of Pahang and Perak, for example, insisted that there was nothing wrong in viewing non-Muslims as dhimmis. Citizenship is no longer viewed by Ketuanan Melayu ideologues as part of the Merdeka agreement between all Malaysia’s ethnic communities but as an act of unilateral generosity for which eternal gratitude must be given. For Hadi, such gratitude must be manifested by perpetual submission, docility, and servility especially involving anything PAS says or does. To do otherwise is to be ungrateful and unmindful of Malay sensitivities. Of course, UMNO and PAS leaders insist that all this does not amount to discrimination against non-Malays. 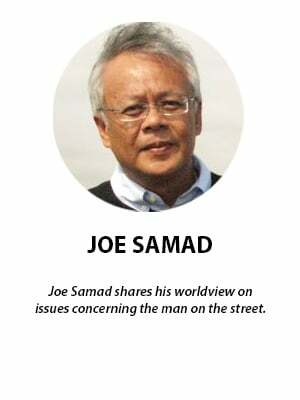 Mohamad Hasan, for example, insisted that he was not trying to sideline non-Malays, that he wanted every community to “feel comfortable” while PAS vice-president Iskandar Abdul Samad reiterated that PAS-UMNO cooperation would not give rise to an extremist government. It is a sign of how delusional, irrational, even duplicitous UMNO and PAS have become to expect non-Malays to be comfortable with such a racist system or that non-Malays will see such policies as anything but extremist. As well, dividing the nation into Muslims and dhimmis might be acceptable in a theocratic Islamic state like Saudi Arabia but it can never be acceptable in a secular democratic state like Malaysia. Far from bestowing a divine right to rule on anyone, the Federal Constitution bestows upon all citizens – Muslim and non-Muslim – certain inalienable rights, rights that may not be unilaterally abrogated by muftis or anyone else. It goes without saying that the Ketuanan Melayu vision of Malaysia is at variance with the Federal Constitution. 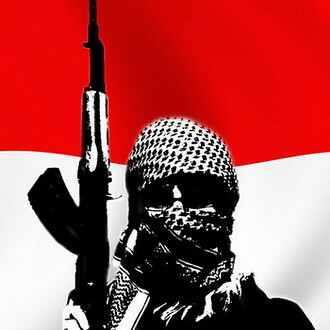 It threatens to strip non-Malays of their constitutional rights, privileges and protections. Clearly, it is not the Malays and the position of Islam that are under threat; it is the non-Malays who now face an existential threat from the Ketuanan Melayu ideologues and their followers. Given this situation, it is hard to fathom how the MCA and MIC can continue to remain unperturbed by UMNO-PAS cooperation or how they can continue to work with the very groups that are out to disenfranchise the minority communities they claim to represent. Are they so devoid of principle that they would minimize the very real dangers that the Ketuanan Melayu ideology of UMNO and PAS now poses to non-Malays just for the sake of a few crumbs from UMNO’s table? The Federal Constitution indisputably acknowledges Islam as the official religion of the Federation and confers special rights on the Malays but that can never be used to justify an ethno-religious apartheid state or legitimize a system of discrimination against any citizen. Like it or not, Malaysia is by constitutional mandate a secular democracy that makes no distinction between Muslim and dhimmi or Malay and pendatang. And, like it or not, we are all Malaysia’s sons and daughters. None of us can change the past; we can only try to make the most of our diversity and endeavour to forge a better future. And that journey can only truly begin when we confront the Ketuanan Melayu ideology and expose it for what it is – a sinister and contemptible racist creed that has no place in a multicultural constitutional democracy like ours. Posted in Character and Integrity, civil society issues, Critical Thinking, Democracy, Dr Mahathir, FreeMalaysiaToday, Human Rights, ketuanan melayu, Leadership, Malaysia, Meritocracy and Competence, National Unity, New Economic Policy, New Malaysia Cabinet, Pakatan Harapan, Parti Pribumi Bersatu Malaysia, PAS, PKR, Politics, Public Accountability, reform, Rule of Law, Social Issues, The Malays, UMNO.